Is your car outside nekkid right now? Yes, your car. If you’re nekkid that’s perfectly fine. After all, you’re at home in front of your computer and really we don’t mind. We’ll try not to think about it. So, back to Carports! We like nekkid too, but not on cars! When cars go uncovered, they fade (think wrinkles), they blister (think sunburn) and they can get attacked (think hail)! Yikes! None of that is good, right? Well, we don’t think so and at The Patio Factory, we would like to help you dress up your car and your home and keep everything on the straight and narrow. The Patio Factory has experts that deal exclusively in “Nekkid Car Syndrome”. Seriously, what will the neighbours think if your prized beauty sits out there nekkid one more night?? We hear from you. You don’t want installers to come to work around your home. Ok. We have the perfect solution. 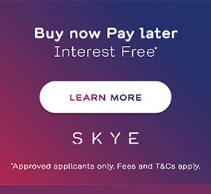 Of course, it will save you a bit of money. 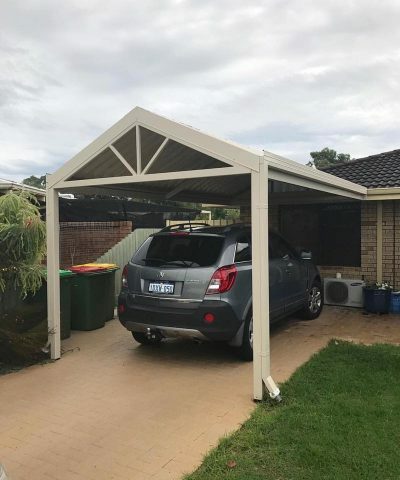 It’s a DIY Carport KIT from The Patio Factory. Our Carport KITS are simply the best. There is just no other way to put it. Why fool around with a lesser kit when you can start off the right way with The Patio Factory DIY CARPORT KIT? Of course, you are going straight for the best. There is really no reason not to. At The Patio Factory, we don’t just send out a KIT and hope for the best. Our KITS include the very best materials available. 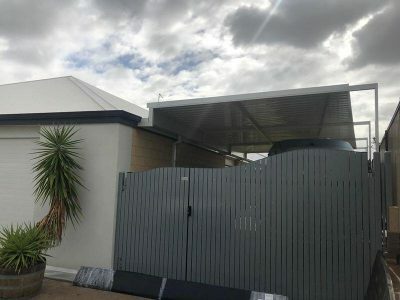 The structure is made of Australian BlueScope® Steel coupled with a Colorbond® coated roofing system…there are several forms and we can look at that with you onsite or here in our offices…even online; you are going to really make the neighbours jealous. Don’t worry we’ll tell you how to deal with them later. The Patio Factory makes sure that you have everything in your Carport KIT before it leaves us. We include easy-to-follow instructions. We test them prior to putting them in there. Who wants to pull out the instructions only to find out that they are written in Greek? Now if you can read Greek, that’s another story! We like to keep it simple. We include all the bolts, screws, nuts and washers one needs to put this project together. You don’t want to be halfway and find out you have missing bolts. We double and triple-check our Carport KITS before they leave the factory. For us, it’s like sending a child off to university. If you need it, we make sure it’s in the box! Except for tool that is. Tools you will need to have on hand. We do let you know which ones you’ll need though, so no surprises there! We also have experts standing by to answer any questions you may have. Fear not to support is always available. These are the same experts with multiple years of experience dealing with “Nekkid Car Syndrome”. We’re here for you and we can help. Just make that call to 08 9451 5777. Help us help you to end “Nekkid Car Syndrome” today! Get one of The Patio Factory’s DIY Carport KITS with all the fixins! Vow to cover the old gal or that sparkly new beauty tonight! We’re here to help you keep her happy, shiny and new looking for the long haul. Under the hood, maintenance is strictly up to you! Now, on to the fun stuff! When you call, we are going to ask several questions. It’s just our way. 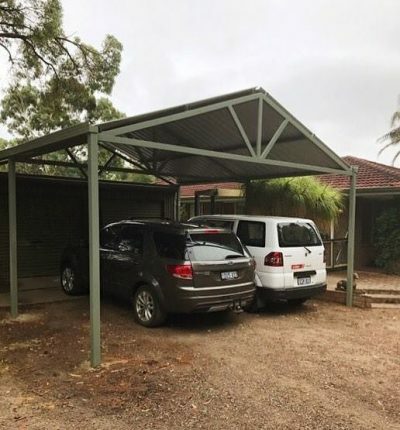 We like to get to know you a bit and find out what kind of carport will best fit your needs and go with your existing structure. Here’s what we want you to think about. 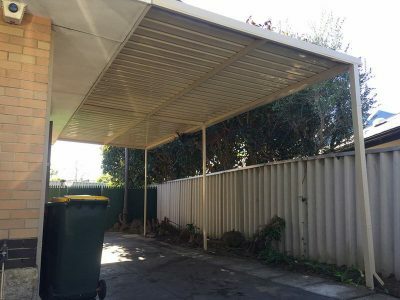 Do you want the carport to be free-standing or attached? 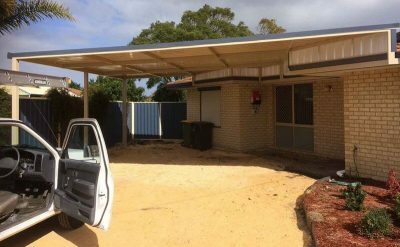 Do you want the carport to blend seamlessly into your existing structure or do you want it to stand out? What is your budget or do you need information about our finance program? Yes, that’s right…we have financing too! 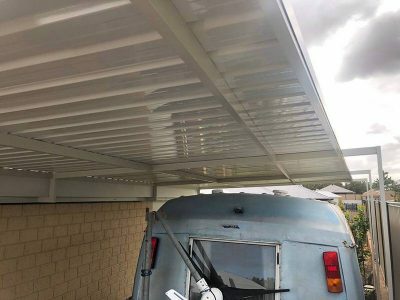 Finally, we are going to ask what your carport is for (and we hate to put it this way) is it just to cover your car or will you need space to cover and store other items as well? Believe me when I say this…we know it’s never just a car. Not only will you be making decisions on the colour, size and type of roofing, but the shape as well. We offer Gable Roofs, Flat Roofs, Dutch Gable Roofs, Skillion Roofs, Hip Roofs and both single and double-wide options. Relax; we know it’s a lot to take in all at once. You can browse around our site and see examples of all the different products we offer or you can call, 08 9451 5777, ask for a designer and get the ball rolling that way. Our designers are experts in guiding our customers to the best options for their style of home, life and needs. No one is leaving you alone in the dark. We are here to hold a hand, be a shoulder to cry on or celebrate with you when you finally get everything the way you want it. We certainly don’t hear any crying about our Patio Factory Carport KITS, but we do know that occasionally one of the kids beings home a D in math or science and that prompts an upset. Really, we’ll listen, pat you on the back and remind you why life is so great! Pretty soon your Carport KIT will arrive and you can tune out their excuses and put them to work! A little hard work is good for the soul, right? Besides they may even decide that studying is preferable to work! That’s right; we’ve got your back! Call us on 08 9451 5777 for a free measure and quote. We’ll send someone out to visit with you and instead of all those questions over the phone, they will get to see your site, make suggestions and show you materials right there in your own private space. Either way, it’s a win for you! Pretty soon you will have the solution to “Nekkid Car Syndrome” right at your fingertips! Oh, talking the neighbours will do!